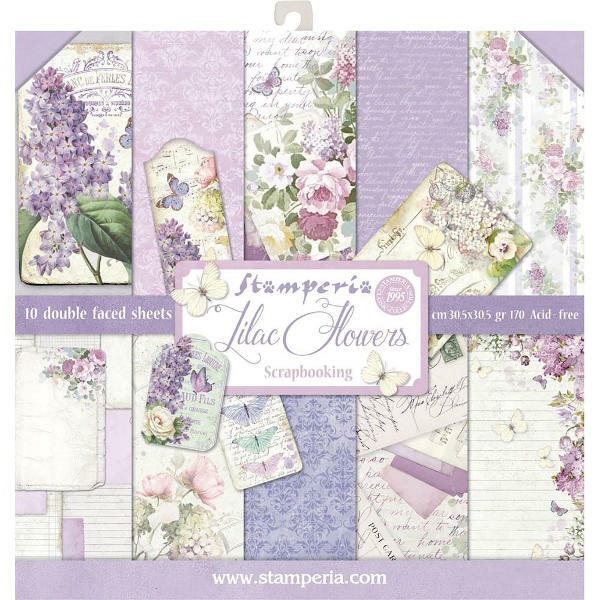 Stamperia Lilac Flowers Scrapbooking Collection Kit contains beautiful mauve and cream vintage florals, butterlies lilacs. Lilac Flowers Collection kit contains ten sheets of 12x12 double sided paper, each with a different design. Acid free.